Despite the fact that there are many varieties of alder, in the manufacture of facing batten for sauna mainly uses three basic types: black alder (aka European), white alder and Siberian. Black alder recently acquired a special popularity, since it has a brown color, sometimes with a pink, orange or beige shade that goes well with light panels from other types of wood. Batten of black alder is often used as decorative inserts in modern sweating-rooms. Operational properties of alder panels are very similar to Euro batten of lime: it is easily processed, resistant to deformation that occurs due to exposure to high temperatures and humidity, has a uniform structure and a unique textural pattern that is revealed when covered with alder batten special decorative oil based on flax. Treated alder also contains no tar, does not absorb moisture and does not emit, has a small heat capacity, ie, it does not burn the skin if touched in a preheated sweating-room. 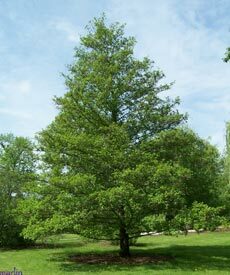 Alder, like lime, is an elite wood species, as part of manufacturing of it very time-consuming. During the processing of 100 cubic meters of raw materials, the output is only 40 cubic meters of finished product (which is also shared by species). By the way, alder is ideal for creating artistic compositions carved in sweating-room, as its wood is soft, homogeneous, perfectly cut and polished in any direction, and is not subject to chipping.